Airport from the east. The overhaul base is in the lower left corner of the field. The proposed Central Terminal would be on the left at the end of the runway. Kansas City International Airport (IATA: MCI, ICAO: KMCI, FAA LID: MCI) (originally Mid-Continent International Airport) is a public airport 15 miles (24 km) northwest of downtown Kansas City in Platte County, Missouri. In 2018, 11,850,825 passengers used the airport, the second busiest in its history. Its largest carriers are Southwest Airlines and Delta Air Lines, both having many daily flights in Terminal B. The airport has always been a civilian airport and has never had an Air National Guard unit assigned to it. The number of peak-day scheduled aircraft departures for December 2018 was 170. Service was offered to 47 nonstop markets. In 2009, the airport was reported as having the highest number of wildlife strikes of any airport in the US, based on take-offs and landings (57 per 100,000). FAA records showed 146 strikes in 2008 – up from 37 in 2000. 1.3 TWA's "Airport of the Future"
Kansas City Industrial Airport was built after the Great Flood of 1951 destroyed the facilities of both of Kansas City's hometown airlines Mid-Continent Airlines and TWA at Fairfax Airport across the Missouri River from the city's main Kansas City Municipal Airport (which was not as badly damaged). TWA's main overhaul base was a former B-25 bomber factory at Fairfax, although TWA commercial flights flew out of the main downtown airport. Kansas City was planning to build an airport with room for 10,000-foot (3,000 m) runways and knew the downtown airport would not be large enough. Kansas City already owned Grandview Airport south of the city with ample room for expansion, but the city chose to build a new airport north of the city away from the Missouri River following lobbying by Platte County native Jay B. Dillingham, president of the Kansas City Stockyards, which had also been destroyed in the flood. TWA moved its Fairfax plant to the new airport and also its overseas overhaul operations at New Castle County Airport in Delaware. The site just north of the then unincorporated hamlet of Hampton, Missouri was picked in May 1953 (with an anticipated cost of $23 million) under the guidance of City Manager L.P. Cookingham. Cookingham Drive is now the main access road to the airport. Ground was broken in September 1954. The first runway opened in 1956; at about the same time the city donated the southern Grandview Airport to the United States Air Force to become Richards-Gebaur Air Force Base. The airport was across US 71 (now I-29) from the Red Crown Tourist Court, where outlaws Bonnie and Clyde engaged in a 1933 shootout with law enforcement, which led to the death of Clyde's brother Buck Barrow and the capture of Buck's wife Blanche Barrow. TWA's Kansas City Overhaul Base at its peak in the 1960s and 1970s was Kansas City's largest employer, with 6,000 employees. Although Mid-Continent merged with Braniff in 1952, Kansas City decided to name the new airport on the basis of Mid-Continent's historic roots (serving the Mid-continent Oil Field). In 1954, TWA signed an agreement to move its overhaul base to the airport; the city was to build and own the $18 million-base and lease it to TWA. However, the downtown airport continued to be Kansas City's passenger airport; a 1963 Federal Aviation Agency memo called the downtown airport "one of the poorest major airports in the country for large jet aircraft" and recommended against spending any more federal dollars on it. Along with the cramped site, there were doubts that the downtown site could handle the new Boeing 747. Jets had to make steep climbs and descents to avoid the downtown skyscrapers on the 200-ft (60-m) Missouri River bluffs at Quality Hill, east of the approach course a mile or two south of the south end of the runway, and downtown Kansas City was in the flight path for takeoffs and landings, resulting in a constant roar downtown. Mid-Continent was surrounded by open farm land. TWA's "Airport of the Future"
In 1966, voters in a 24:1 margin approved a $150 million bond issue following a campaign by Mayor Ilus W. Davis to move the city's main airport to an expanded Mid-Continent. The city had considered building its new airport 5 miles (8.0 km) north of downtown Kansas City in the Missouri River bottoms, as well as locations in southern Jackson County, Missouri, but decided to stick with the property it already owned. The old terminals were demolished to make room for the current facilities, built in 1972. 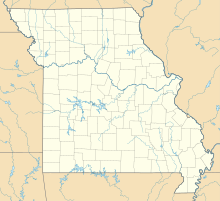 The airport property was in an unincorporated area of Platte County until the small town of Platte City, Missouri, annexed the airport during construction. Kansas City eventually annexed the airport. Kivett and Myers designed the terminals and control tower; it was dedicated on October 23, 1972, by U.S. Vice President Spiro Agnew. Labor strife and interruptions raised its cost to $250 million. Kansas City renamed the airport Kansas City International Airport (although it kept MCI as its airport code). TWA, Braniff and everyone moved to MCI. Many design decisions were driven by TWA, which envisioned the facility as its hub, with 747s and Supersonic Transports whisking people from America's heartland to all points on the globe. Streets around the airport included Mexico City Avenue, Brasília Avenue, Paris Street, London Avenue and Tel Aviv Avenue. TWA vetoed concepts to model the airport on Washington Dulles International Airport and Tampa International Airport, because those two airports had people movers, which it deemed too expensive. TWA insisted on "Drive to Your Gate" with flight gates 75 feet (23 m) from the roadway (signs along the roadway showed the flights leaving each gate). The single-level terminals had no stairs, similar to a plan that would be built at Dallas/Fort Worth International Airport. TWA's vision for the future of flight that had been pioneered by the TWA Flight Center at JFK Airport in New York City (which also featured cars close to the gates design) proved troublesome almost from the start. The terminals turned out to be unfriendly to the 747, since passengers spilled out of the gate area into the halls. When security checkpoints were added in the 1970s to stem hijackings, they were difficult and expensive to implement since security checkpoints had to be installed at each gate area rather than at a centralized area. As a result, passenger services were nonexistent downstream of the security checkpoint in the gate area. No restrooms were available, and shops, restaurants, newsstands, ATMs or any other passenger services were not available without exiting the secure area and being re-screened upon re-entry. Shortly after the airport opened, TWA asked that the terminals be rebuilt to address these issues. Kansas City, citing the massive cost overruns on a newly built airport to TWA specification, refused, prompting TWA to move its hub to Lambert-Saint Louis International Airport in St. Louis, Missouri. MCI passenger terminals have a unique structure comprising three terminals in the shape of rings. Each ring has short-term parking in the center of the ring. Thus, it is possible for travelers to park, walk no more than a hundred feet and go directly to their gates. Arriving travelers can leave their gates, and walk immediately out of the terminal without passing through any corridors. The airport also has several off-site airport parking facilities. Slogans at the time of the bond issue were "The world's shortest walk to fly" and "Drive to your gate". A proposed fourth ring, as well as a fourth 15,100-foot (4,600 m) runway, have never been built, although, until the new rental car facility was erected, the foundations for the planned fourth terminal remained visible. Kansas City and the airlines have opted against any "people movers" connecting the three rings. Instead, frequent buses take passengers around the rings. Initially the bus cost 25 cents, but after an outcry by travelers the charge ended. A similar design can be found at the Berlin–Tegel Airport and the Cologne Bonn Airport, both in Germany. After the establishment of the Transportation Security Administration (TSA), MCI was one of five airports where the TSA has experimented with using independent contractors to provide all traveler inspector services. The airport uses AKAL Security, an independent contractor that conforms to TSA's recruiting and training standards. TSA supervises these independent contractors, but they are not federal employees. In March 2010, the Transportation Security Administration announced that the airport would be one of the first in the U.S. to have full-body scanners with the first one used at Southwest Airlines beginning in the summer of 2010. Bathrooms were placed inside security. Other improvements included new finishes throughout, new entrance vestibules to improve the air lock between the building interior and exterior, new baggage claim devices, updated retail areas, new exterior glazing and a common design for ticket counters that includes sunshade devices. Following the renovations, all three terminals include blue terrazzo floors created by artists Kristin Jones and Andrew Ginzel (which won a 2002 Honor Award from The National Terrazzo and Mosaic Association), updated arrival/departure screens and restrooms and concessions are now available inside passenger holding areas. In May 2007, the final portion of the project (a new rental car facility and additional art fixtures) were completed. One major problem remains after the renovation. The modifications necessary to implement TSA security created a situation where many "sanitized" gate areas have only a single restroom stall each for men and women (added during the renovation); the remaining restrooms are across the hall, which is now outside the secured area, necessitating an extra trip through TSA security. As of 2001[update], certain gate areas had no serviceable restrooms within the sterile area. In 2006, the airport began offering free Wi-Fi. The airport covers 10,680 acres (4,320 ha) and has three runways. In the year ending April 30, 2018, the airport had 124,556 aircraft operations, an average of 341 per day. Two jets were based at MCI at the time. The airport has facilities to service and repair aircraft as large as the Boeing 747. The airport consists of three terminals numbered through gate 90, although the airport has never contained 90 gates. The numbering is to make it easier to identify which terminal a gate is in. Terminal A (gates A1-A30, which all are currently unused), Terminal B (gates B31-B60), and Terminal C (gates C61-C90). Today Terminal B contains 20 gates and Terminal C contains 22 gates. SeaPort Airlines did not operate out of the main passenger terminal; it used the private aviation terminal. Kansas City closed Terminal A on January 8, 2014. In November 2017, Kansas City, Missouri voters approved a plan to build a new terminal on the site currently occupied by Terminal A. As of January 2018, Terminal C is undergoing renovations to better handle international flights. All domestic destinations from Kansas City International Airport (MCI). All international destinations from Kansas City International Airport (MCI). Former President Barack Obama walks with Missouri Gov. Jay Nixon and U.S. Representative Emanuel Cleaver II at the Kansas City International Airport on July 8, 2010. The airport is near major highways Interstate 29 and Interstate 435. The airport has a consolidated rental car facility at the corners of London and Paris and Bern and London Streets on the airport property. Each terminal has four rental car shuttle bus stops. The shuttle buses are operated by First Transit and REM Inc. The buses used for the shuttle service are 40-foot (12 m) Gillig low-floor buses. These are silver in color and indicate RENTAL CAR SHUTTLE BUS on the side. The shuttles come through the terminal every two to five minutes and are free of charge for all passengers and guests of the airport. A number of private scheduled shared shuttle services operate from MCI to regional cities (including Saint Joseph, Missouri; Columbia, Missouri; Topeka, Kansas; Lawrence, Kansas); and military bases (Fort Leonard Wood, Missouri; Fort Riley, Kansas; Fort Leavenworth, Kansas; and Whiteman Air Force Base, Missouri). Airport officials and city leaders say the merger of MCI's three terminals into one terminal is inevitable. They cite the expense of operating several security checkpoints within each terminal and the lack of concessions and retail space beyond security, as well as the operating costs of the airport itself as reasons for a new terminal. Airport management has hired consultants who have developed five concepts for the future of the airport. Through the years, Kansas City had continued to invest in the three decentralized terminal concept by building multilevel parking structures on the inside fields of each of the "C" terminals—connected via tunnels. On December 7, 2007, an FAA mandated update to the airport's master plan unveiled new plans for a central terminal. Under the proposed master plan, the central terminal would be built on vacant property south of the airfield and would hold a centralized security checkpoint, a concourse for concessionaires and shops and four wings for gates. Those wings could be expanded later, the consultant said. As the south portion of the airfield is vacant, construction would not interfere with current operations. Springfield-Branson National Airport in Springfield, Missouri implemented a similar plan. An extension of runway 1R to 12,000 feet (3,700 m) has been proposed, as well as a fourth 12,000-foot (3,700 m) runway just west of current runway 1L having also been discussed. The architects working on the new master plans are Landrum and Brown. 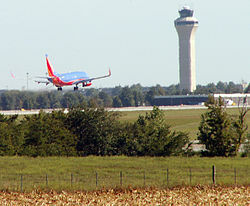 On December 18, 2008 the Kansas City Council approved a master plan for the airport, which included a call for an extension of Tiffany Springs Road (to be called Tiffany Springs Parkway) between I-29 and I-435, as well as improvements to Missouri State Route 152 for the new terminal on the south side of the airport by 2025. On October 18, 2012, the Kansas City Star quoted Aviation Director Mark VanLoh, who said that focus for the terminal had shifted to demolishing Terminal A and replacing it with the Central Terminal. Management determined that the south side project would have involved extensive new infrastructure, which was deemed too expensive. Under the plan, the capacity for the airport would be downsized from its current 42 gates to 37 gates with airlines sharing the gates. The new terminal was projected to cost $1.2 billion and create 1,800 construction jobs. Planners had considered rebuilding Terminal C but decided the A had better access to the main runway, fuel farm, cargo facilities and deicing and is "better situated with respect to sun and wind." On April 4, 2013, the city's Transportation Committee unanimously approved the plan. City officials said the airport would be paid with passenger ticketing fees; airline, concession and tenant payments; and other aviation funds. They said that the usual way for paying for such projects is by issuing municipal bonds that would require a vote of the residents of Kansas City. Kevin Koster, a Kansas City marketing executive organized opposition to the proposed single-terminal via his SaveKCI.org website and continues to promote public discussion of alternatives. The City of Kansas City announced the closure of terminal A, in order to move forward with the one terminal plans. Terminal A closed on January 8, 2014, with airlines relocating to Terminal C.
On June 11, 2014, the Kansas City Mayor's airport advisory board published its official recommendation for the city to proceed with a single terminal design. In 2017, Mayor Sly James re-initiated the conversation for Kansas City's potential new terminal. Local design form Burns & McDonnell proactively proposed a privately funded option that would not require new public taxes. (Even if not privately funded, airport reconstruction would be funded through by takeoff and landing fees generated by the airport, not a separate tax initiative). Initially Burns & McDonnell were the only firm to present a privately funded option. In June 2017, Airport design firm AECOM also approached Kansas City to advise it would also submit a privately funded proposal. On July 18, 2017, two new teams emerged to submit proposals to the city for a new terminal. On October 5, 2017, Edgemoor Infrastructure and Real Estate presented initial renderings for the single passenger terminal to the Kansas City Council. Designed by SOM Architects, the new design has two concourses and 35 gates. On November 7, voters in Kansas City approved the construction of the new terminal. In March 2018, Southwest Airlines announced that the new terminal would have 42 gates, expandable to 50, rather than the originally planned 35 gates. Later, in June 2018 Edgemoor announced that the terminal would be larger than originally planned, and would be constructed at a budget of $1.3 billion to $1.4 billion (up from $964 million). The completion date was also pushed from November 2021 to October 2022. Despite requests from Kansas City, the airport has been unable to change its original International Air Transport Association (IATA) Mid-Continent designation of MCI, which had already been registered on navigational charts. Further complicating requests to change the designation, the Federal Communications Commission (FCC) at the time reserved all call letters with "K" or "W" for radio and television stations, so KCI was not viable. In 1973 Wichita, Kansas, laid claim to the Mid-Continent name for its Municipal Airport (IATA: ICT, ICAO: KICT) after Kansas City abandoned it. However, Wichita had no luck in changing its IATA designation for the same reasons (including the forbidden "W"). In 2016, Wichita Mid-Continent was renamed Eisenhower National Airport. The downtown Kansas City airport got around the "K" restriction because it was originally called Municipal Airport and so its designation is MKC and for added incentive it was in Missouri. The "W" and "K" restrictions have since been lifted, but the IATA is reluctant to change names that have appeared on navigational charts. 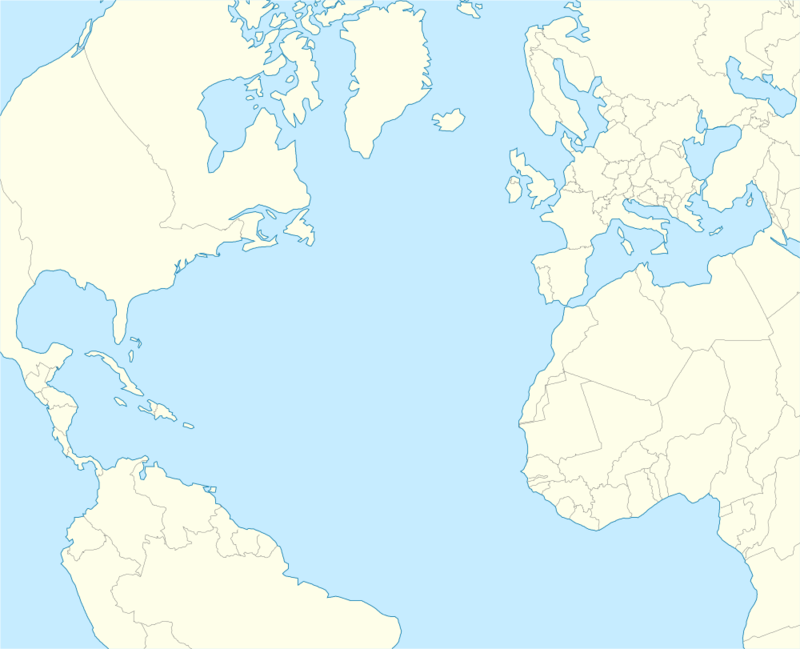 The "KCI" designation is also already assigned to another airport, Kon Airport in East Timor, so that one would have to change, adding delay and confusion. Nearby New Century AirCenter also carries the IATA code JCI (although the FAA refers to it as IXD and the ICAO as KIXD), which could also lead to confusion. The airport is a crew base for Republic Airlines. Southwest Airlines also has many flights (81 daily on weekdays) and is the airport's largest carrier. It does not classify MCI as a focus city (and Southwest does not call any city a "hub"). Delta Air Lines carries the second-highest number of passengers at the airport, currently[when?] serving 10 destinations nonstop. This airport was a hub for the now defunct Braniff Airways, Eastern Air Lines, TWA and Vanguard Airlines. It was also a hub for US Airways, Frontier Airlines and Midwest Airlines. TWA (through its successor American Airlines) continued to use the overhaul base until September 24, 2010 when they closed all operations at the overhaul facility, moved 900 employees to Tulsa, Oklahoma, and laid off the rest. Smith Electric Vehicles leased the facility in March 2010. On February 10, 2011, Great Lakes Airlines discontinued service from Kansas City to Dodge City, Kansas, as well as Joplin and Fort Leonard Wood, Missouri. The decision was based on decreasing passenger loads and sending passengers through their hub in Denver. December 21, 1978 – TWA Flight 541 from Louisville International Airport to Kansas City was hijacked by 17-year-old Robin Oswald to Williamson County Regional Airport in Illinois in attempt to secure the release of Garrett Brock Trapnell, who was serving time at United States Penitentiary, Marion for the January 28, 1972, hijacking of TWA Flight 2 from Los Angeles to New York City. Oswald's mother Barbara Oswald was killed May 24, 1978, after hijacking a helicopter in an attempt to rescue him (and Martin J. McNally, who was serving time for the June 23, 1972, hijacking of a St. Louis-Tulsa American Airlines flight). Robin surrendered after 10 hours at the Williamson airport. April 13, 1987 – Buffalo Airways Flight 721 operated by Burlington Air Express cargo flight from Wichita Mid-Continent Airport descending in a thick fog with half-mile visibility clipped a 950-ft-high ridge three miles (5 km) short of the runway. All four occupants were killed – the worst accident in the airport's history. September 8, 1989 – USAir Flight 105 from Pittsburgh International Airport clipped four power lines 75 feet (23 m) above the ground 7,000 feet (2,100 m) east of Runway 27 after making adjustments after being told by the MCI controller that lights were out on the south side of the airport. The flight then landed in Salina, Kansas. None of the 64 persons on board was injured. February 16, 1995 – An Air Transport International McDonnell Douglas DC-8 flight to Westover Metropolitan Airport, which had aborted a take off six minutes before because of loss of directional control, crashed on Runway 1L on another take-off because of failure of the directional control when its tail hit the runway. All three on board were killed. August 21, 2001 - At 01:11, an America West Airlines Boeing 737-300 operating as Flight 598 from Phoenix Sky Harbor Airport touched down on Runway 27 to the left of the center line during severe weather. The first officer in command failed to correct for leftward drift and the aircraft exited the runway approximately 1,000 feet after touchdown. Both engines were destroyed by foreign object debris, but the aircraft was repaired and returned to service. No fatalities and only one injury were reported by the 53 passengers and 6 crew. July 16, 2014 – An Embraer E170 scheduled to operate US Airways Flight 3408 to Ronald Reagan Washington National Airport veered off runway 19L while conducting a high-speed taxi for maintenance purposes. Neither of the two maintenance crew on board were injured. No passengers were on board at the time of the incident. In 2009, the airport was reported as having the highest number of wildlife strikes of any airport in the US, based on take-offs and landings (57 per 100,000). FAA records showed 146 strikes in 2008, up from 37 in 2000. The Kansas City Aviation Department issued a press release on October 15, 2009, that outlined its Wildlife Hazard Management Plan created in 1998 to reduce wildlife strikes, including removal of 60 acres (24 ha) of trees, zero tolerance for Canada geese, making sure grain crops are not grown with 2,000 feet (610 m) of the runways, and harassing wildlife to keep it clear of the airport. Furthermore, in 2007, the airport elected to enact a policy of 100% submitting wildlife strike reports to the FAA/USDA National Strike Database. When birds are involved in a strike, whether reported by an aircraft owner or operator, or the bird was found on the runway, feathers and/or DNA samples are recovered and sent to the Smithsonian Institution for positive identification. This documentation is conducted regardless of whether the strike occurred on or off the airfield. In the reporting period of January 1990 to September 2008, none of the encounters resulted in injury to people and all of the airplanes landed safely. The report listed the most serious incidents. March 31, 2006 – A Boeing 737 struck a medium to large bird and damaged an engine on take-off. It returned. February 25, 1999 – A Learjet 35 approaching Downtown Kansas City Airport struck a flock of snow geese over MCI. One hit the copilot's window, and one was ingested into an engine, shutting it down. It landed safely. March 4, 1999 – A DC-9 landing at the airport struck a flock of snow geese, ingesting geese in both engines and shutting one down. The airplane landed safely. April 28, 2000 – A Boeing 727 on take-off struck a Canada goose, destroying an engine. It returned safely. June 10, 2005 – A DC-9 on takeoff struck an American kestrel, stalling an engine. It returned safely. November 14, 2009 – Frontier Airlines Flight No. 820, an Airbus A319, struck a flock of Canada geese shortly after take-off, resulting in loss of power to an engine. The airplane made a safe return to MCI. In September 2017, the body of Randy Potter, 53, of Lenexa, Kansas, was found in his truck in Economy Lot B. It had decomposed to the point where its race and gender was not obvious; Potter had gone to the airport one morning in January and killed himself with a gun. His family had at the time of his apparent disappearance given the license plate number of his truck to airport authorities, who assured him that they recorded the plates of all vehicles parked in the lots on a daily basis and would check it against that data base regularly. The apparent failure of this system to locate Potter's truck for eight months has led to an investigation by the city government. The airport was featured in episode 63 of the Discovery Channel television series Dirty Jobs. The episode featured the Southwest Airlines baggage handling system and the airport incinerator. It originally aired on February 20, 2007. An episode later in 2007 featured Mike Rowe cleaning out a paint truck at MCI. The airport is also the setting for the majority of John J. Nance's fictional book, Final Approach, which follows the collision of two airplanes, of the fictional airline North America Airlines, on the runway at Kansas City International, and the NTSB investigation that follows. The airport is a location in the motion picture Turbulence 3: Heavy Metal. In the film, air traffic controllers guide a hijacked plane to a safe landing at Kansas City International Airport. ^ a b c "KCI Traffic Statistics Dec 2018" (PDF). Kansas City Aviation Department. Retrieved January 28, 2019. ^ a b c FAA Airport Master Record for MCI (Form 5010 PDF), effective October 25, 2007. ^ "Traffic Statistics @ flykci.com". Kansas City International Airport. Retrieved March 1, 2019. ^ a b (April 24, 2009). "Bird Strikes by Planes Rising – A Newly Released FAA Database Shows 28 Craft Destroyed by Collisions with Animals Since 2000". The Denver Post. Retrieved August 15, 2012. ^ a b Cooper, Brad (April 24, 2009). "Reported airplane-bird strikes are way up at KCI". The Kansas City Star. Archived from the original on April 27, 2009. ^ a b "New Terminal Redevelopment Ready For Takeoff". March 1, 2019. ^ "Jay Dillingham". Kansas City Star. August 14, 2007. ^ Thompson, Harlan (December 13, 1953). "Delawareans Helped to Pioneer Flying; 50th Anniversary To Be Observed Here". Wilmington Sunday Star. 72 (42). Retrieved January 27, 2016. ^ "Platte County Site Selected for New Industrial Airport". Moberly Monitor-Index. Associated Press. May 9, 1953. ^ "Groundbreaking Set Monday for Airport". Jefferson Post-Tribune. Associated Press. September 16, 1954. ^ "TWA Acts to Move Shops". The New York Times. March 26, 1954. ^ "Kansas City International Airport". Airports Worldwide. ^ Starling, Jay D.; Brown, James; Gerhardt, James M.; Dominus, Marc I. (May 1976). "Technology and Politics: The Regional Airport Experience" (PDF). NASA. Retrieved February 5, 2019. ^ "TSA Announces Private Security Screening Pilot Program" (Press release). United States Department of Transportation. June 18, 2002. Archived from the original on June 29, 2003. Retrieved August 23, 2016. ^ "Kansas City International airport to test full body scanners at security checkpoints". Lawrence Journal-World. Associated Press. March 5, 2010. Retrieved February 5, 2019. ^ "Terrazzo Honor Awards". The National Terrazzo and Mosaic Association. Archived from the original on May 9, 2008. ^ "City Steps Up Efforts to Land Trans-Atlantic Air Service at KCI, Invites Johnson County to the Design Party". CityScene KC. November 21, 2017. Retrieved January 11, 2018. ^ "Flight Schedules". Air Canada. Retrieved January 7, 2017. ^ "Alaska Airlines announces 13 new nonstop routes from the Bay Area" (Press release). Alaska Air. March 9, 2017. ^ "Route Map". Allegiant Air. Retrieved February 5, 2019. ^ a b "Flight schedules and notifications". American Airlines. Retrieved January 7, 2017. ^ "Route Map". Frontier Airlines. Retrieved January 7, 2017. ^ "Flight Schedule". Icelandair. Retrieved January 9, 2018. ^ "Check Flight Schedules". Southwest Airlines. Retrieved January 7, 2017. ^ "Myrtle Beach, SC's Top Airline Expands with More Nonstop Routes". Spirit Airlines. December 12, 2018. Retrieved December 12, 2018. ^ "Where We Fly". Spirit Airlines. Retrieved January 29, 2017. ^ a b "Timetable". United Airlines. Retrieved January 7, 2017. ^ "Kansas City, MO: Kansas City International (MCI)". Bureau of Transportation Statistics. January 2019. Retrieved April 19, 2019. ^ "Routes - Maps and Schedules: 129 Boardwalk". Kansas City Area Transportation Authority. ^ Heyward, Paige (March 28, 2007). "Proposed Design Would Change KCI". KSHB News. Archived from the original on March 28, 2007. ^ "KCI Studies". Kansas City International Airport. Archived from the original on February 26, 2010. Retrieved February 9, 2010. ^ a b Horsley, Lynn (October 18, 2012). "Terminal A seems the likely site of the new KCI". The Kansas City Star. Archived from the original on October 21, 2012. Retrieved October 19, 2012. ^ Horsley, Lynn (April 5, 2013). "A new KCI is closer to takeoff". The Kansas City Star. Retrieved April 5, 2013. ^ Alonzo, Austin (June 11, 2014). "KCI Advisory Board's final written report: Build single terminal". Kansas City Business Journal. ^ Roberts, Rob (July 18, 2017). "KCI terminal competition becomes a four-way race". Kansas City Business Journal. Retrieved February 5, 2019. ^ Daniel, Rae (July 18, 2018). "Firms share vision for KCI Terminal". KSHB News. Retrieved February 5, 2019. ^ Horsley, Lynn (July 11, 2017). "AECOM assembles team for proposal to build new KCI terminal". The Kansas City Star. Retrieved February 5, 2019. ^ Turque, Billy; Vockrodt, Steve (October 5, 2015). "Here's your first look at the new KCI single terminal plans". Retrieved February 5, 2019. ^ "Kansas City". Retrieved November 7, 2017. ^ "New KCI Terminal". Edgemoor Infrastructure & Real Estate. ^ "Developer sets new opening date, project budget for KCI single terminal". The Kansas City Star. June 21, 2018. Retrieved June 24, 2018. ^ Cole, Suzanne; Engle, Tim; Winkler, Eric (April 20, 2012). "50 Things Every Kansas Citian Should Know – Think You're an Expert? Read on to See If You Learn Something New". The Kansas City Star Magazine. Retrieved August 15, 2012. ^ Maxon, Terry (September 24, 2010). "American Airlines Closes Former TWA Base in Kansas City". The Dallas Morning News. Retrieved August 15, 2012. ^ Swanson, Eric (February 16, 2010). "Great Lakes Airlines to discontinue flights to Kansas City from Dodge City Regional Airport". Dodge City Daily Globe. Archived from the original on July 24, 2011. Retrieved July 10, 2011. ^ Keve, Paul W. (1995). Prisons and the American Conscience: A History of U.S. Federal Corrections. SIU Press. pp. 193–. ISBN 978-0-8093-2003-5. ^ O'Neil, Tim (June 25, 2011). "A Look Back • Airline hijacking at Lambert in 1972 turns bizarre". St. Louis Post-Dispatch. Retrieved August 15, 2012. ^ "ASN Aircraft accident Boeing 707-351C N144SP Kansas City International Airport, MO (MCI)". Aviation Safety Network. Retrieved March 16, 2010. ^ "ASN Aircraft accident Boeing 737-2B7 N283AU Kansas City International Airport, MO (MCI)". Aviation Safety Network. Retrieved March 16, 2010. ^ "ASN Aircraft accident McDonnell Douglas DC-8-63F N782AL Kansas City International Airport, MO (MCI)". Aviation Safety Network. February 16, 1995. Retrieved March 16, 2010. ^ Ranter, Harro. "ASN Aircraft accident Boeing 737-3G7 N306AW". Aviation Safety Network. Retrieved February 14, 2017. ^ "Investigation begun into jet that skidded off KCI runway". archives.californiaaviation.org. Archived from the original on February 15, 2006. Retrieved February 14, 2017. ^ "Jet veers off runway during maintenance test at KCI Airport". KMBC News. July 16, 2014. Retrieved July 18, 2014. ^ Hradecky, Simon (July 16, 2014). "Incident: Republic E170 at Kansas City on Jul 16th 2014, runway incursion and excursion". The Aviation Herald. Retrieved July 18, 2014. ^ Kansas City International Airport Wildlife Management – flykci.com – October 15, 2009 Archived March 5, 2010, at the Wayback Machine. 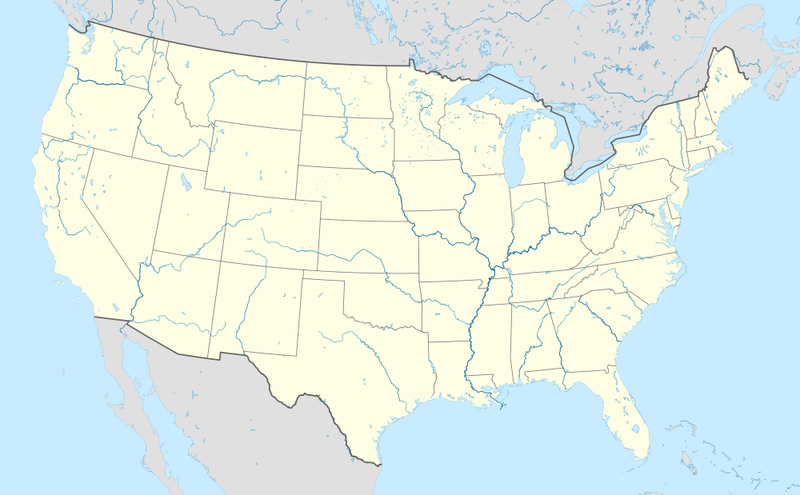 ^ "Some Significant Wildlife Strikes to Civil Aircraft in the United States, January 1990 – September 2008"[permanent dead link]. FAA Wildlife Strike Database. October 23, 2008. ^ "Plane returns to KCI after bird encounter". The Kansas City Star. November 15, 2009. ^ Cummings, Ian (September 17, 2017). "Randy Potter of Lenexa's body sat in KCI parking 8 months; family is upset". The Kansas City Star. Retrieved October 27, 2017. ^ "KCI Airport Makes National Television: Discovery Channel chooses KCI for its hit show Dirty Jobs" (Press release). December 16, 2007. Archived from the original on May 19, 2011. ^ Nance, John J. (January 19, 2016). Final approach. Open Road Media. ISBN 978-1504027915. ^ Cearley, Jr., George W. (1986). "The Building Of A Major International Airline". Braniff International Airways: 56–66. Wikimedia Commons has media related to Kansas City International Airport.